Finding the right cheap bulk SMS provider for UK businesses has been simply presented in Cheap Bulk SMS Comparison table. 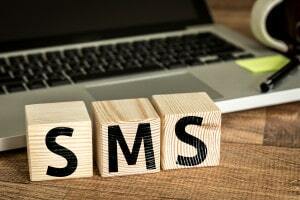 Reputable cheap bulk SMS providers in UK were analysed and assessed for ease of making a decision. Short Message Service with the acronym, SMS, is a term used to explain sending short text messages usually through the use of a mobile phone, or through the web or any other mobile communication device. Bulk SMS means that small to large volumes of text messages can be distributed at one time through different wireless communication carriers. Texting is limited to 160 characters which includes spaces, although some bulk SMS providers do offer 320 characters. There is a cost in sending a text message. There are always a range of bulk SMS providers who can deliver cheap text messaging solutions to businesses and organisations who require to be able to communicate fast and effectively about information or reminders or sales opportunities to their customers, clients or employees. By providing state-of-the-art SMS platform via an application programming interface (API) supported by technical expertise, these SMS providers can achieve a a high level of satisfaction to organisations wishing to engage in the distribution of SMS. As a consequence, a Bulk SMS British Comparison table has been prepared to provide detailed information on features and charges in a manner that is easily identified and easy to analyse and compare through an independent assessment process. This way, informative decisions can be made as to the type of SMS provider you may wish to contract in sending text messages to a range of clients or customers or staff. UK SMS providers are present that offer cheap rates for their services particularly if the volume of SMS on a monthly basis is significant. In most cases you only need to supply a database of groups of end-users such as clients, customers, consumers, or staff members and the rest is done by the SMS company. The whole process usually takes a few minutes from initially notifying them of the message to be sent to the final distribution of that message. It really does not matter if your database provided is in hundreds or thousands of contacts. It is a very effective and efficient way to notify people very promptly. Therefore, UK companies are now realizing the huge potential and benefits of using a bulk SMS service and the value they have in association with marketing campaigns such as special deals or alerts. 1) Premium Bulk Text Message Companies offering high reliability and fast SMS execution at higher prices. 2) Cheap Bulk Text Message Companies offering low prices but reliability may be lower and delivery may take a longer period of time. The SMS Comparison authors considered a number of significant cheap bulk SMS providers in UK and as result found a good selection of reliable and service orientated companies. They include Burst SMS, SMS Broadcast; SMS Tech; ClickSend and DirectSMS. From reviewing these companies a cheap, bulk SMS comparison table was formulated for the reader to compare a set of important features offered by these companies. These include distribution, price, features, service support, reliability, present clients, and promotional offers. One of the main features that enterprises look for when wanting to send out text messages is the ability of the bulk SMS service providers to deliver small, medium and large volumes at the same time with the same reliability. Finding the right provider taking into account charges can take some time to find considering there are so many features that are offered that may or may not be useful for what is required. Sending cheap text messages in mass is very critical when considering using this message service for marketing campaigns or new information or customer updates. Features that you need to look for is how the SMS will be managed, what type of gateway service is used, what inbound system will be adopted, will the SMS go straight to an email or will it be sent directly to a mobile phone. You need to be aware that any destination number can be easily included and be able to be imported from an Excel or similar software. You need to know that numbers can be exported from a program that can manage contacts. Such a file will be uploaded easily and safely into a provider’s address book so that it can be used for actions such as promotions or a marketing campaign. The ability for names and other information to be merged and translated into simple text messages will mean that you can personalize messages and so improve client or customer engagement so as to improve your marketing or communication campaign. What the cheap bulk SMS comparison table has provided is the ability to review and appreciate the extensive amount of research that has gone in formulating the table covering features such as price, reliability, reputation as well as the notifying you of providers’ quality and security certifications such as ISO 27001 and ISO 9001. Reviewing all the features expressed in the SMS comparison table, it is shown that Burst SMS has the best rating of all the other SMS bulk providers. Looking at the graph below, the authors have been able to provide you with comparative visual rating from 0 to 100. With regard to features Burst SMS has a ranking of 92 out of a 100. ClickSend and SMS Tech follows closely with similar feature products and services. The other three SMS providers have achieved a lower rating ranging between 72 to 81 out of 100. It must be emphasized that all the cheap bulk SMS providers do offer a good range of valued features and should not be left out as prospective good SMS companies. By researching and comparing different top level SMS bulk providers available in UK, the SMS Comparison Table indicates the range of SMS prices for different volumes of text messages distributed on a monthly basis. It can be seen from the table below that the most expensive is in the range of 20% more expensive than other competitors reviewed, dependent on the volume of text messages sent. By reviewing the charges incurred by different cheap bulk SMS providers as displayed in the table below, it can be seen the costs are dependent on the volume of text messages distributed each month whether they be a low 500 plus, 10 000 plus, 100 000 to 500 000 or over a 1 000 000+ SMS. With lower volumes, these charges can vary from around 5 pence per text message to around 4 pence for each message sent. There is a 25% difference in such charges. While with larger number of SMS distributed such as 100,000 plus that are distributed on a monthly basis, the costs vary from 3 pence to 4.5 pence for each message sent. That’s a difference of over 30%. 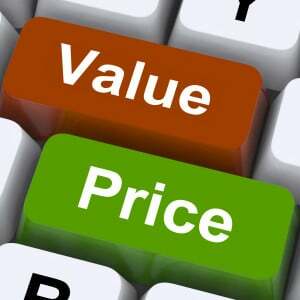 While on mass scale of one million or more, the cheapest quote is around 2.5 pence to the dearest quote of 4 pence for each text message sent which is around 35% price difference. As can be observed from the table, some bulk SMS providers provide cheaper costs if the SMS volume are lower while others offer better rates. Therefore it is to your advantage to use this table as a starting point and then refer to the SWMS providers just in case their pricing schedule has changed. By doing your research and comparing prices, you’ll find the best competing bulk SMS provider with respect to their offer in terms of charges. One of the considerations that need to be taken into account is pricing offered by cheap, bulk SMS service. In number of instances, some of the bulk SMS provider reviewed recommend optimum solutions at a cost-effective price, tailored to meet each requirement. They actively monitor the prices of the SMS markets and claim that they offer the low everyday prices for SMS messages. They have a price match guarantee in case the client happens to find a lower price. Therefore, one needs to consider such charges against other SMS providers. To visually review the cost structure from a graphical representation as shown below, on the basis of a rating of 0 to 100, where 0 is very low and 100 is excellent, SMS Broadcast is shown to score the best with a most favourable, cheap bulk pricing range for SMS distribution of messages on a monthly basis. SMS provider, ClickSend, has similarly cheap costing structure and was given a rating 82. This is then followed by Burst SMS with a good solid rating of 74. The other providers being SMS Tech and Direct SMS do not have competitive pricing range as indicated by their rating of 46 and 48 respectively. Another consideration about charges is the virtual number costs which may be more expensive each month for different distributors as is the Keyword Response SMS service. 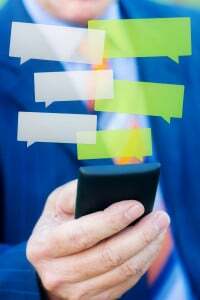 These applications are designed to send customized SMS replies or reminders based on the ‘Body’ of the incoming text message. So when you receive an SMS on your mobile phone, your mobile application will fetch the ‘Body’ request of the text message. So in that way the application will be able to match the content of the incoming text message with the keywords previously listed and sent as a reply. The other issue is related to the reliable means of distribution of text messages at a time and date required to be sent out. the two factors are Uptime (measure of API system reliability, expressed as the percentage of time) and Latency (the delay before a transfer of text message begins following an instruction for its transfer) . Both measure will provide the reliability of text message distribution. In terms of Up-time reliability, some of the providers can offer a certain level of guarantee for the distribution of SMS and most providers offer either 99%, 99.5% or 100% Up-time comes with a Service Level Agreement guarantee. The value of an uptime guarantee is that when a marketing pitch is sent out it guarantees that it will delivered by a certain day. However, even the best guarantee will not stop your site going offline. When comparing the reliability of the British bulk and cheap SMS providers, it is reassuring to know that they all provide a strong reliability factor and quality customer service. This places them in good stead with clients and customers knowing full well that arrangements and distribution requirements are in place to ensure the distribution of SMS will be met as required. So referring to the graphical representation below, you can see that SMS Broadcast, ClickSend and DirectSMS rate extremely highly with a top 100, but closely followed by Burst SMS and SMS Tech. Another factor that needs to be considered in deciding to select or appoint as to the right cheap bulk SMS provider is the reputation attained over a period of time. Our review of the various providers selected found that certain companies apparently had a strengths in their network services more than their competitors. Being British based companies do support the network systems of premium telecommunication carriers. Considering also the provision and suitability of cheap SMS providers good customer support service to answer inquiries or assist in the dissemination of text messages. Also facors like the pricing policy as part of its competitiveness also had a bearing on such a decision. Finally the fact that a number of reputable British and overseas companies engage these British providers is indicative of their reputation. A list of some of the clients can be viewed on the providers’ websites or on Bulk SMS UK Comparison Table. By comparing the cheap, bulk SMS providers reputation criteria, a number of key features needed to be considered that influence the reputation of the company. Overall, it was assessed that out of all the bulk SMS providers researched, ClickSend was regarded as the most reputable organisation. This was closely followed by Burst SMS and SMS tech, who rated highly. SMS Broadcast is also well regarded with a reputation score of 86. The Cheap Bulk SMS Comparison Table was a result of identifying the need for a simple, comparative table of SMS data that could make a prospective client able to decipher and analyse the required selection criteria required to make a valued judgement or decision on who to engage to do their SMS distribution. As a consequence, a simple, easy to follow SMS Comparison Table and associated site were developed to provide you with all the independent advise and information you needed whether it is distribution costs, networks availability, composing online to single and bulk recipients, credit availability or service support. It is important to appreciate that the review of information placed in the table must be taken as a guide only as certain charges and features may be constantly updated on the providers’ websites without prior notification. This table and site is, of course, provided free of charge with no strings attached. However there may be commission required from the provider should you click into their website from this site and engage their services. As you will see no advertisements are on this site so there is no bias in the decision process by both the authors or yourself.